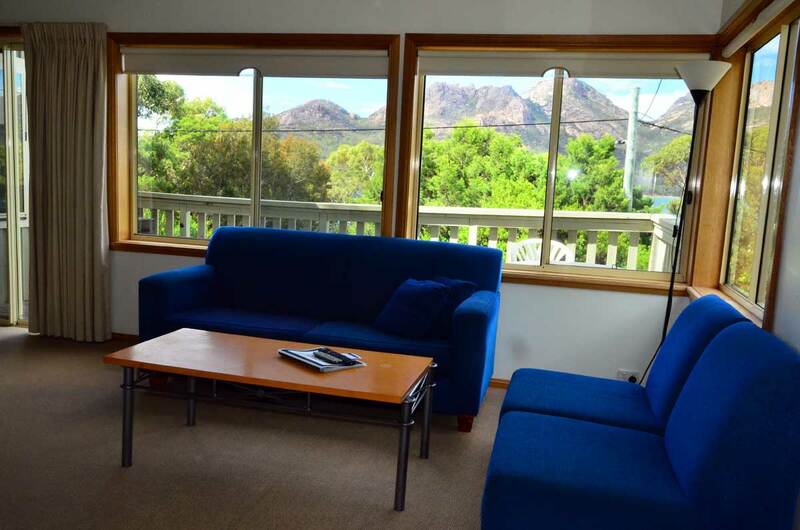 Freycinet Sanctuary is situated on the spectacular waterfront of Coles Bay, offering fully self-contained accommodation overlooking Oyster Bay and capturing the majestic Hazards beyond. 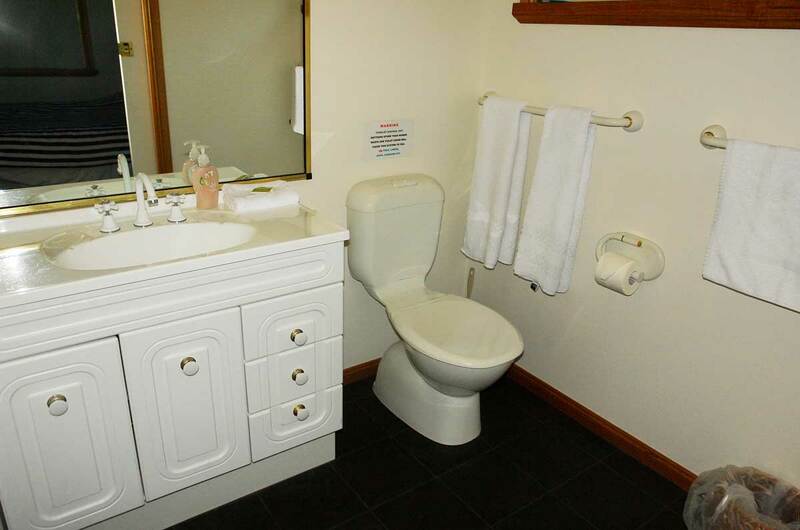 You can choose from two fully self-contained units to relax and pamper yourself. 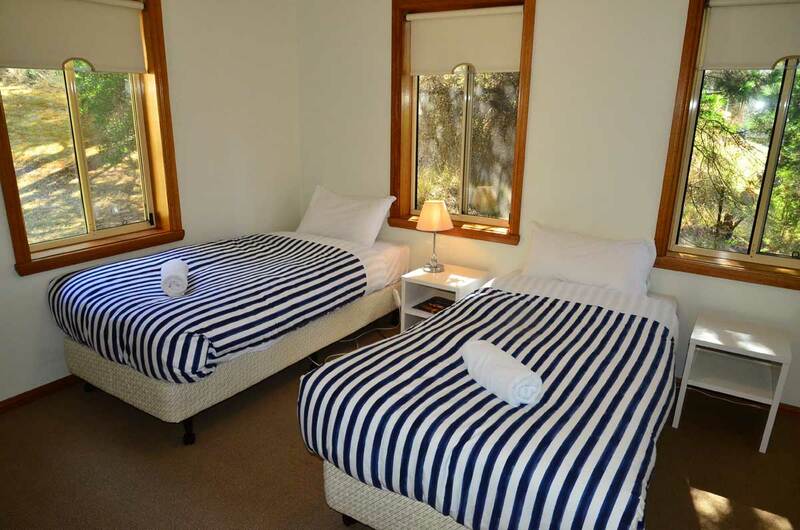 There is one 1-bedroom unit which sleeps two people, and one 2-bedroom unit which sleeps four people. 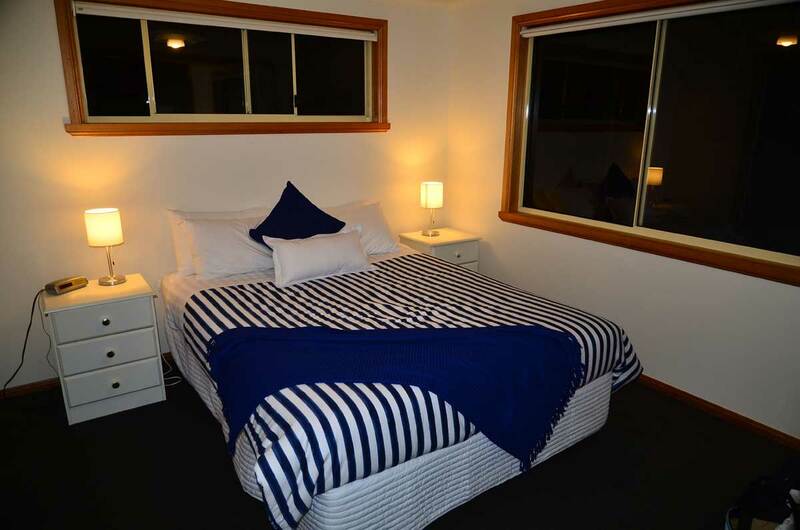 Additional sleeping arrangements can be made by request. 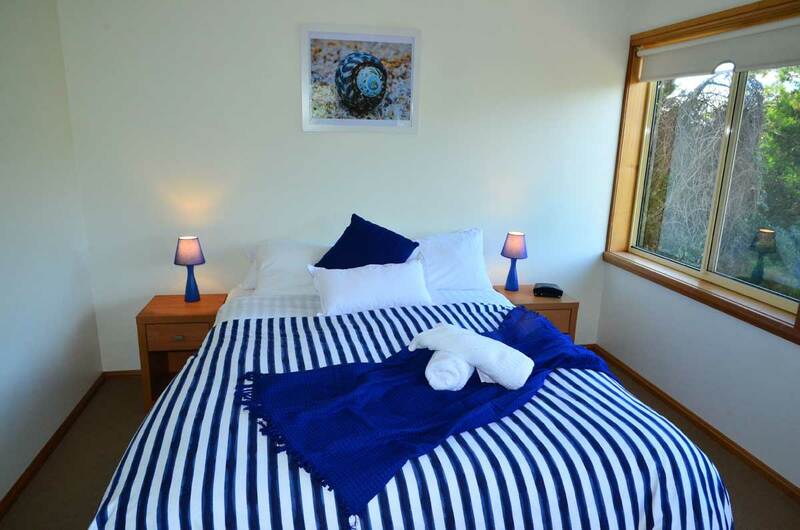 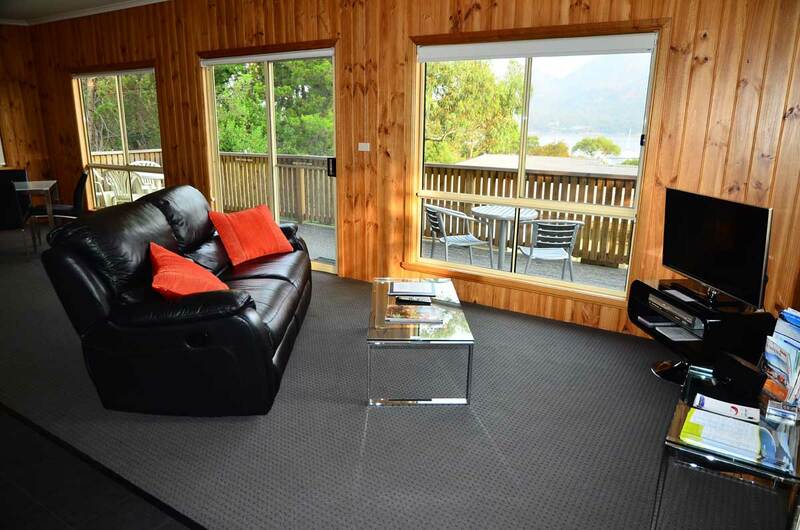 All accommodation includes kitchen and laundry facilities, TV and video/DVD. 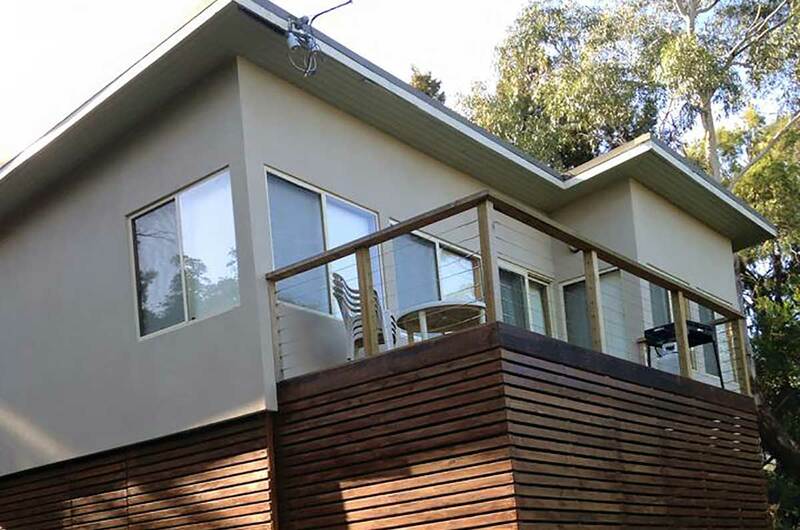 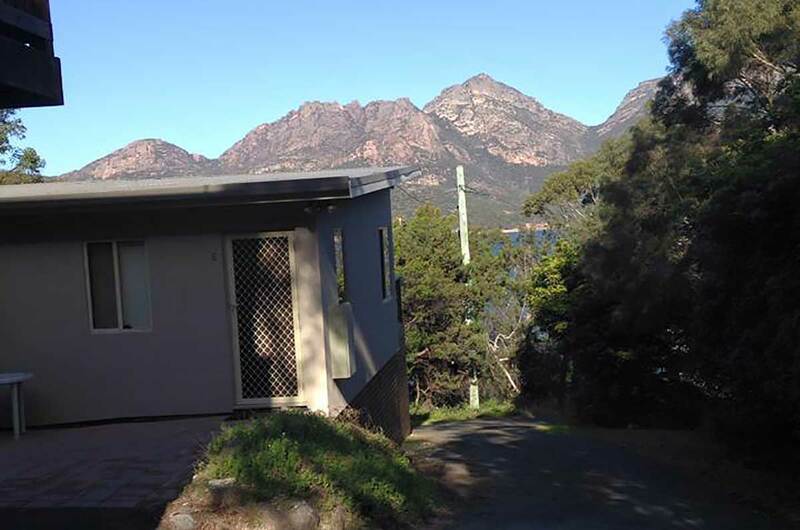 Large front verandahs allow generous views across the water to Freycinet National Park and a rear verandah enables you to capture the afternoon sun and enjoy a quiet glass of wine or have a barbeque amidst your own bush sanctuary of Oyster Bay pines. 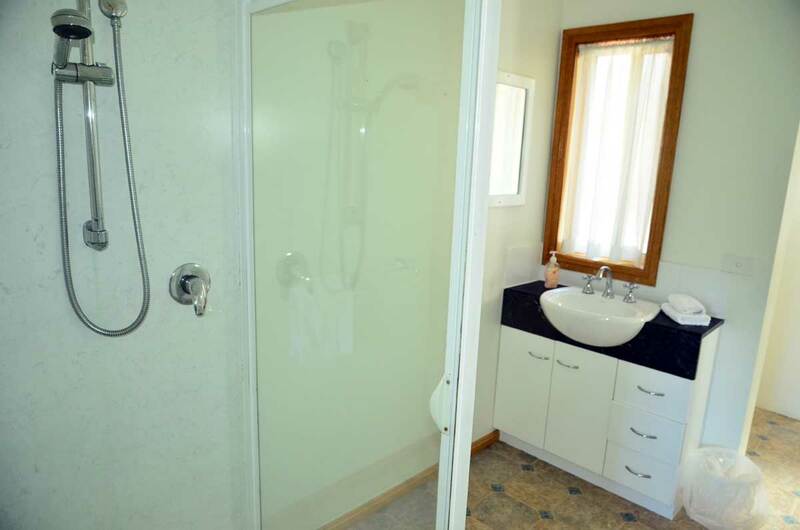 In Winter time you can be assured you will need not be cold as heating is electric, with floor heating in kitchen and bathroom in some units. 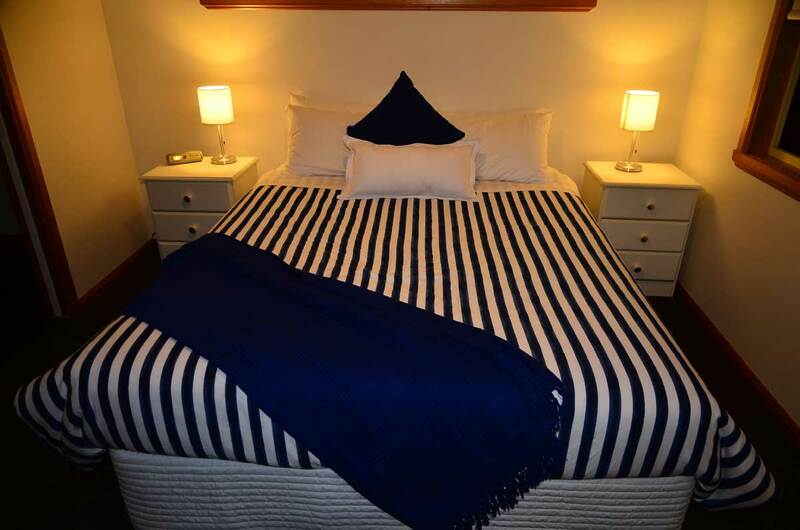 All beds have electric blankets. 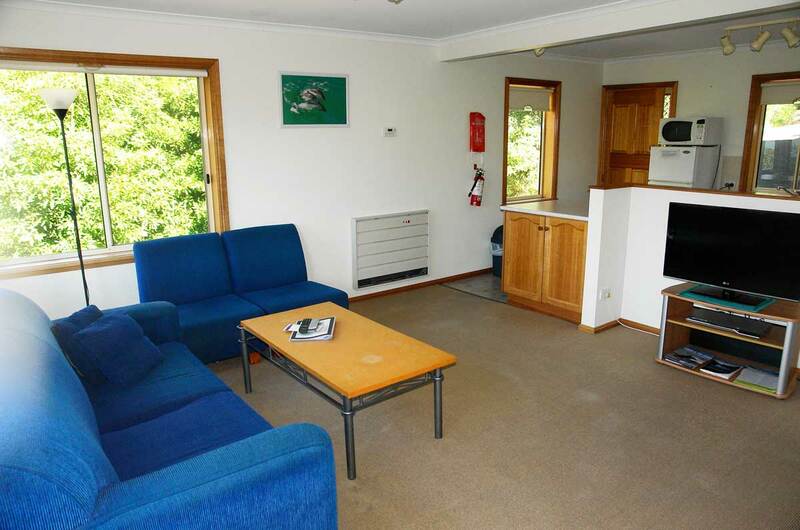 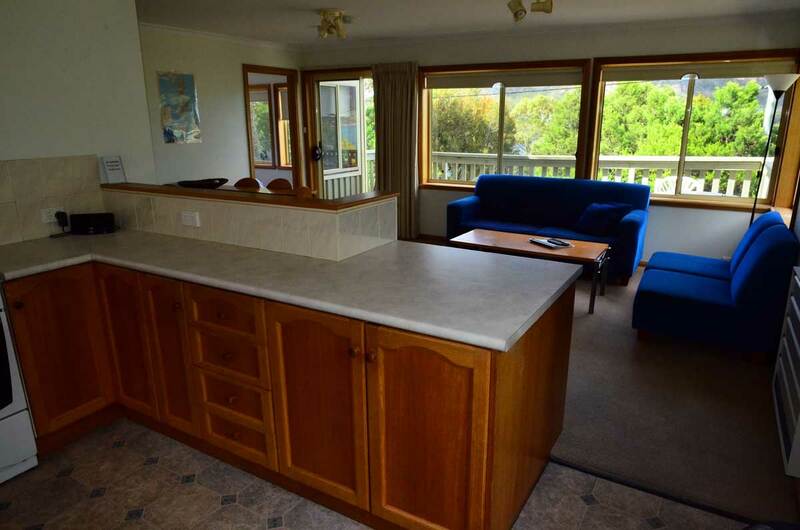 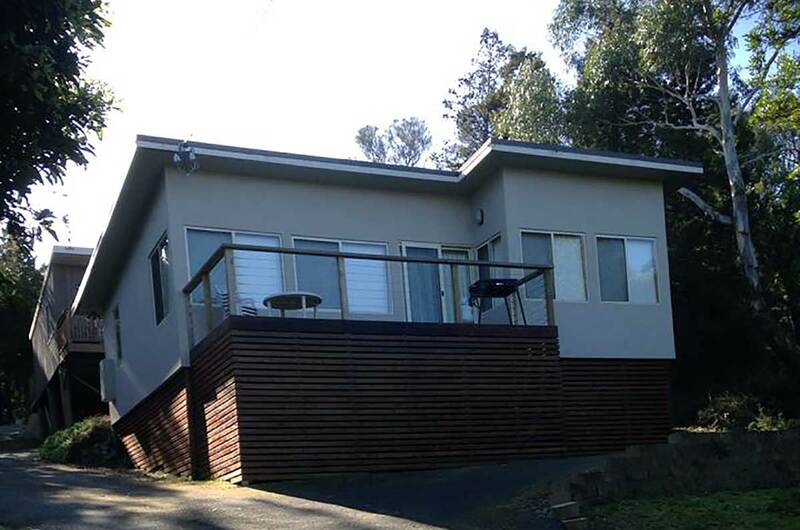 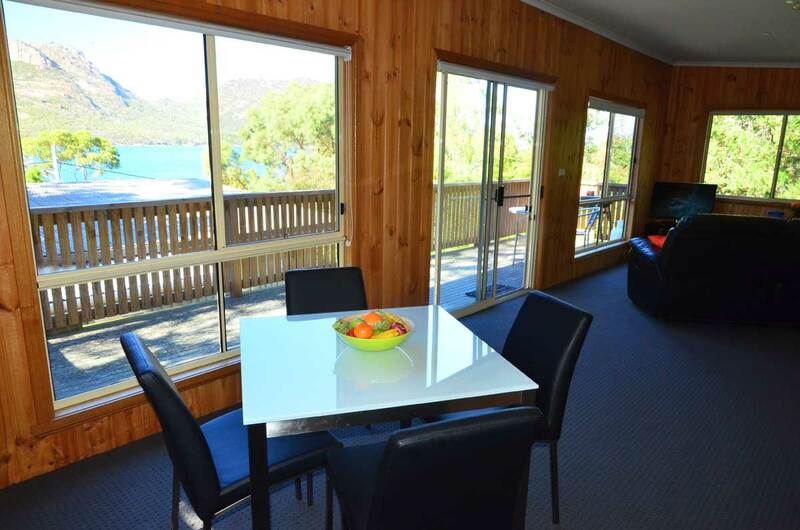 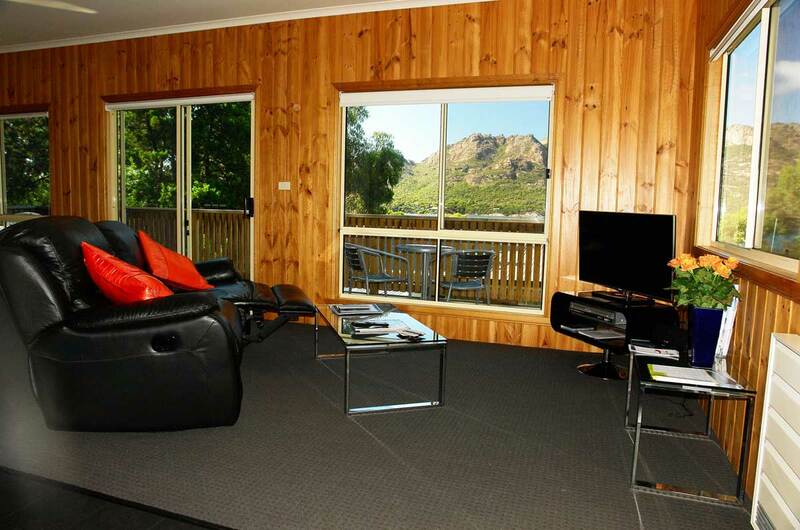 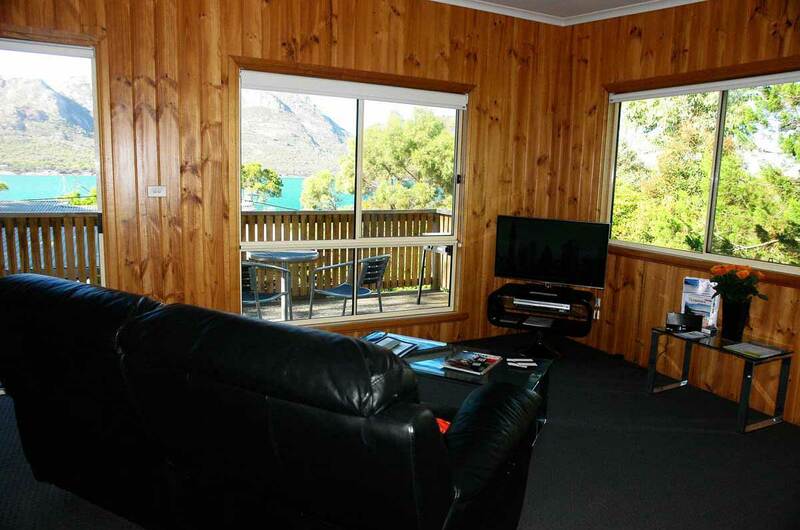 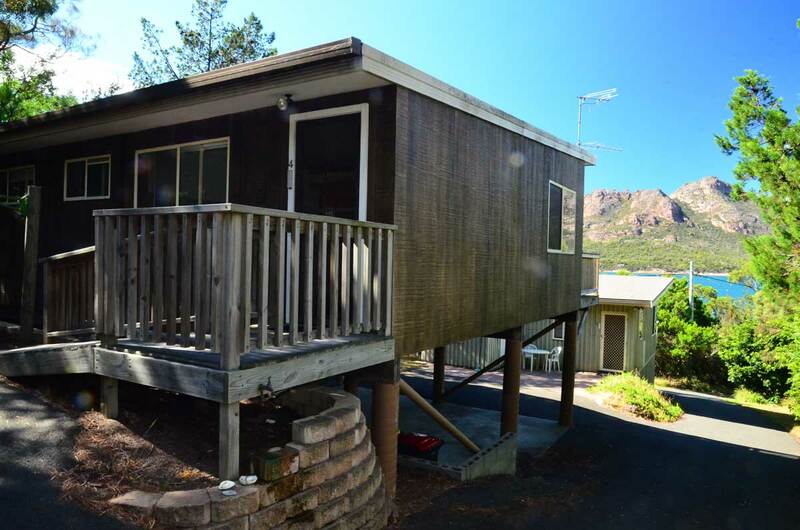 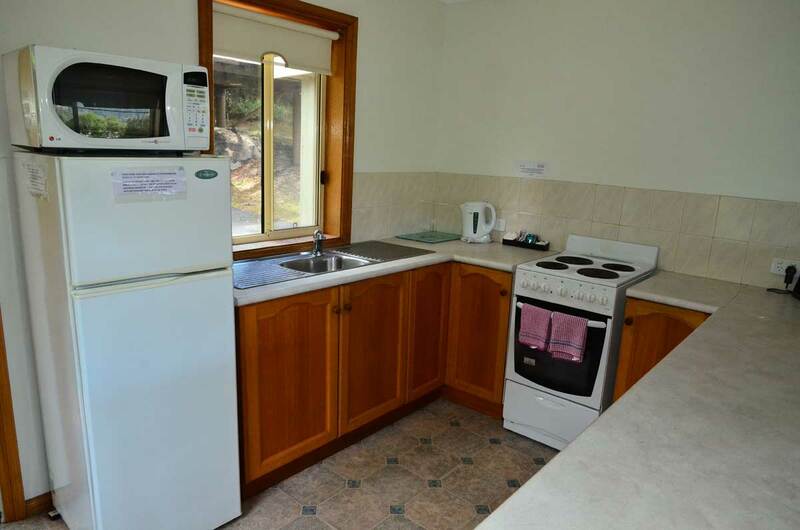 From here you are only two minutes’ walk from Freycinet National Park, the beach and close to the boat ramp and shops. 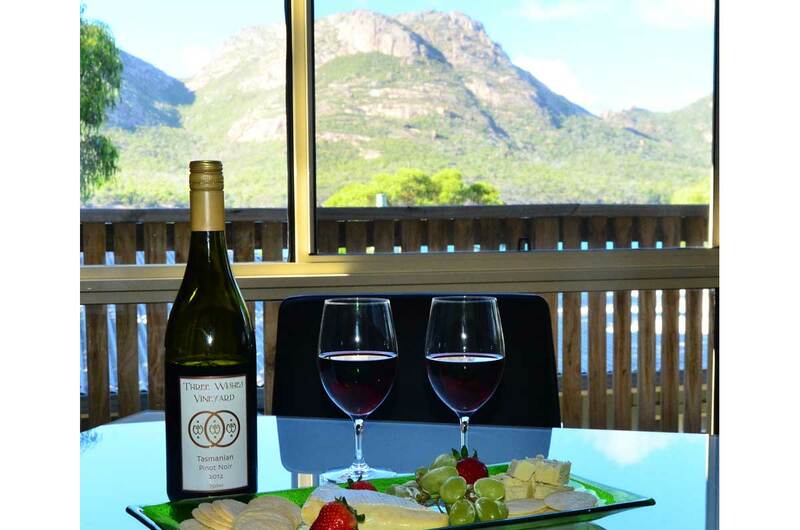 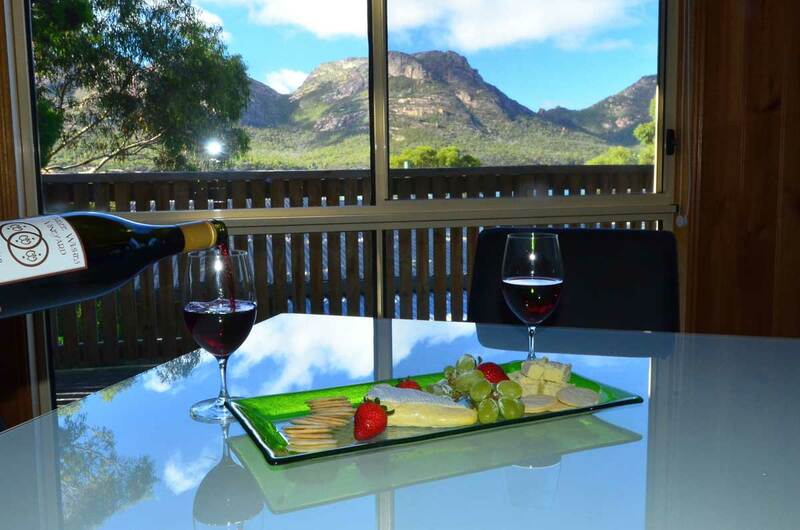 Freycinet Sanctuary is simply THE place to rejuvenate and restore your inner wellness.